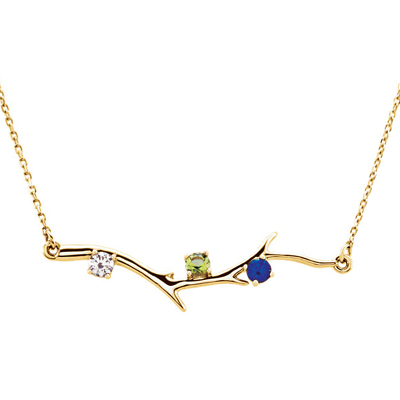 3 gemstones are carefully attached to a 14K yellow gold branch bar necklace. Branch measures 6.5mm x 35mm and comes with a 16 inch cable chain. A perfect gift for a brand new mom! We guarantee our 3 Stone 14K Yellow Gold Birthstone Branch Necklace to be high quality, authentic jewelry, as described above.